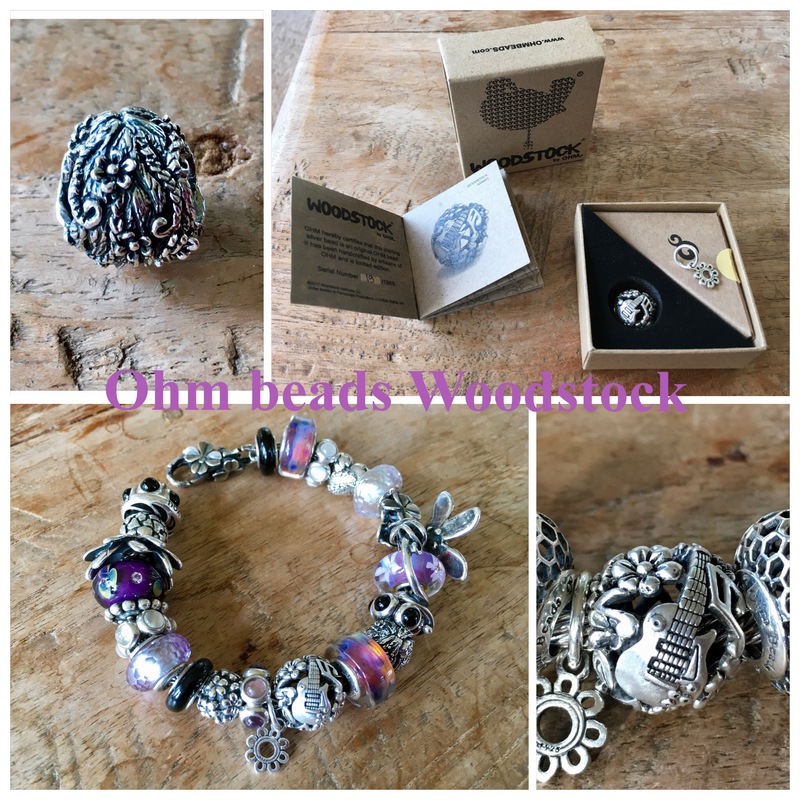 Last week saw the launch of a special Ohm beads addition the Woodstock bead. It is limited edition, 1969 will be made. 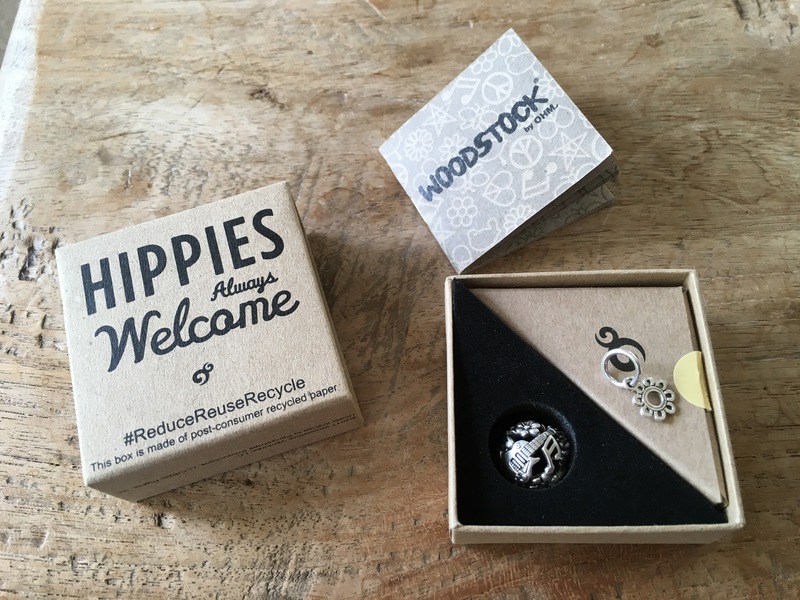 It comes in a box, together with one of the dangles from the Woodstock collection in a blind box, so you don’t know witch one you get. The box is scented, I believe it is Musk, a very sixties smell! 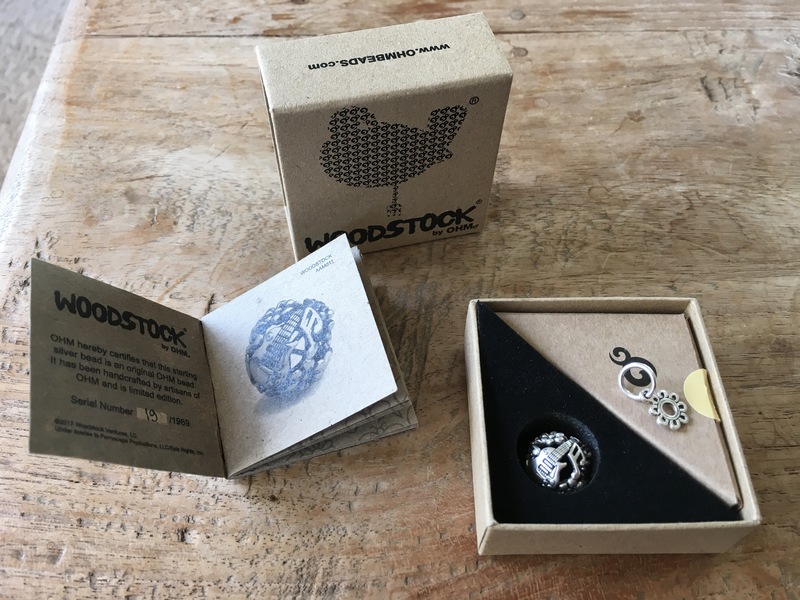 Also in the box is a booklet with the serialnumber of the bead and the story of the Woodstock festival back in 1969. 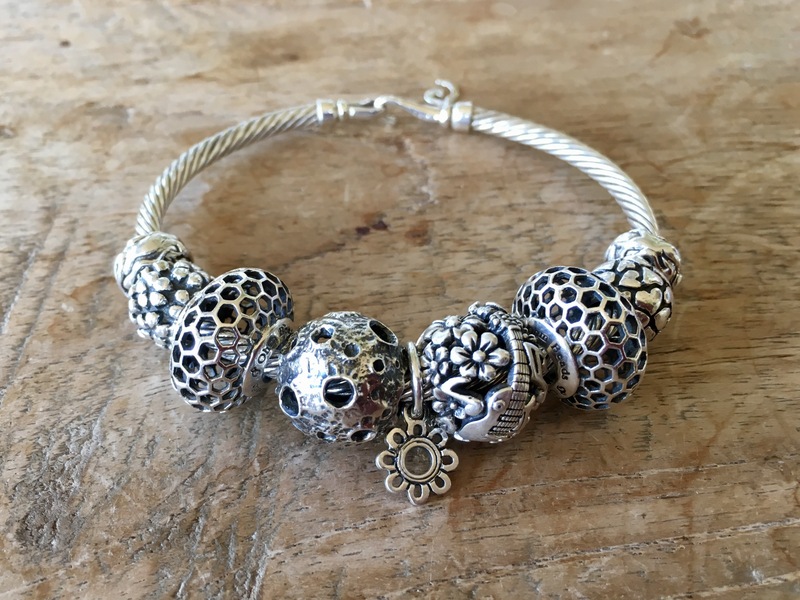 Right after I first saw the bead I started to think about a design for the bead, a bangle or bracelet. 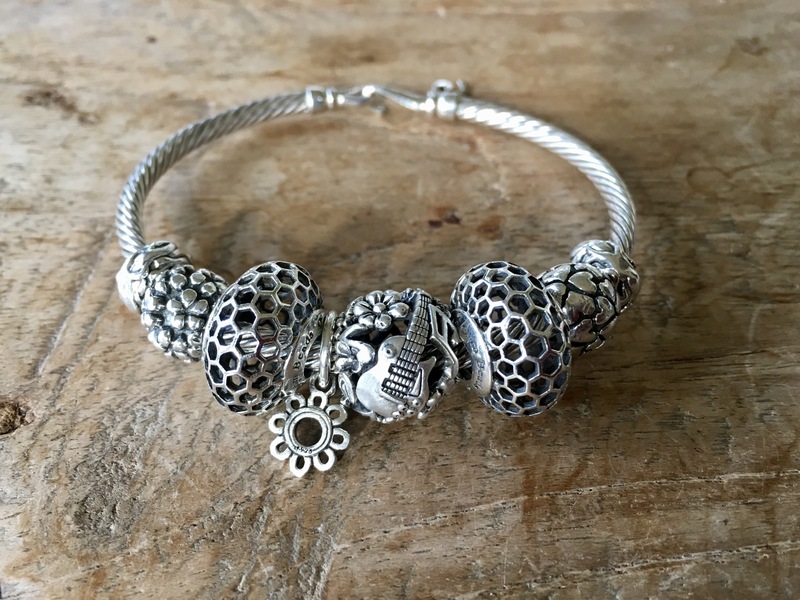 I had the hearts and flowers beads from Pandora, perfect! 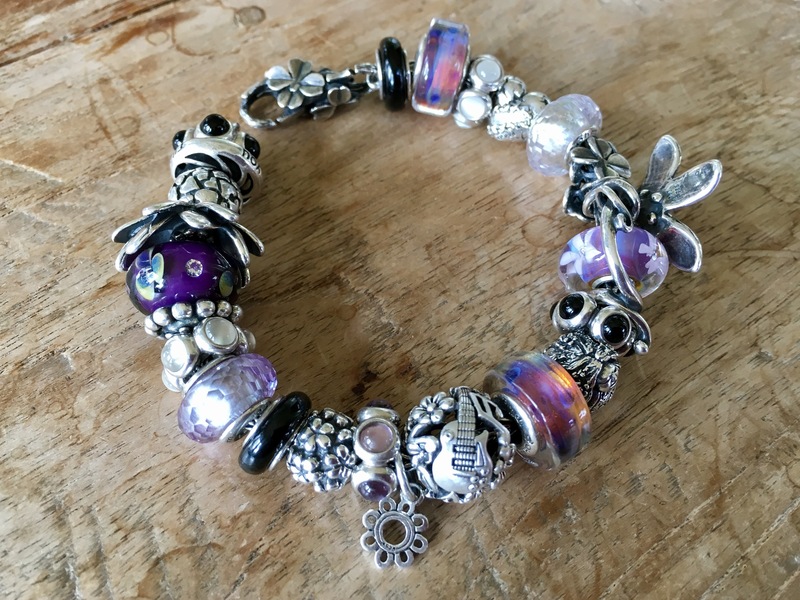 The Ohm beads Purple Haze is by far the most perfect to go with the theme! And I had to try the Ohm Fireballs! 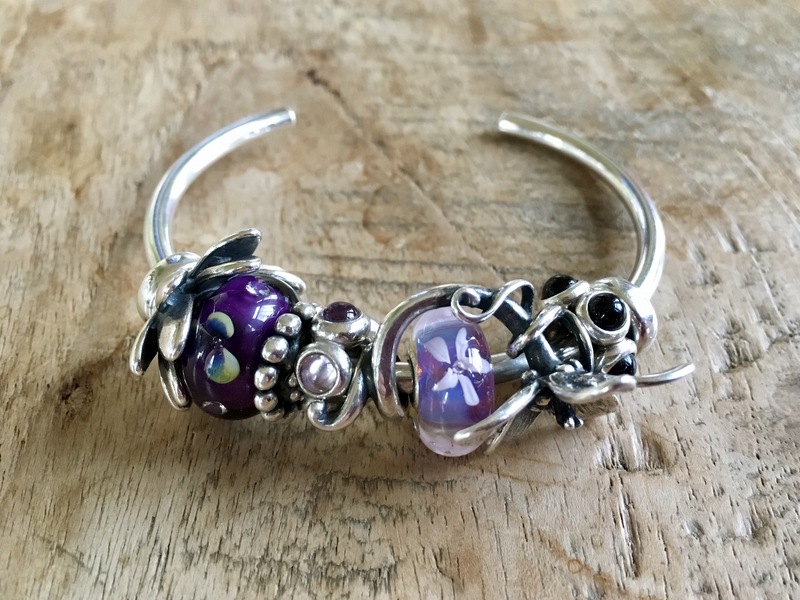 All silver with Ohm beads Hive Mind, Bead of the Month August 2016 is also very stunning! 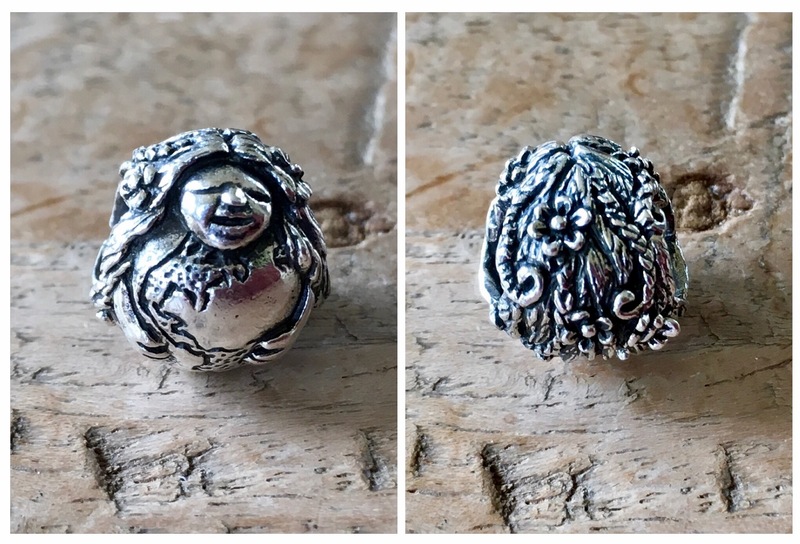 Teaming Woodstock with Ohm beads Luna, bead of the Month May 2016. And Ohm Feel Bangin’ glass in the middle. Here in the middle is Ohm beads crystal called Meteorite, really! It is so much fun playing with those gorgeous beads! 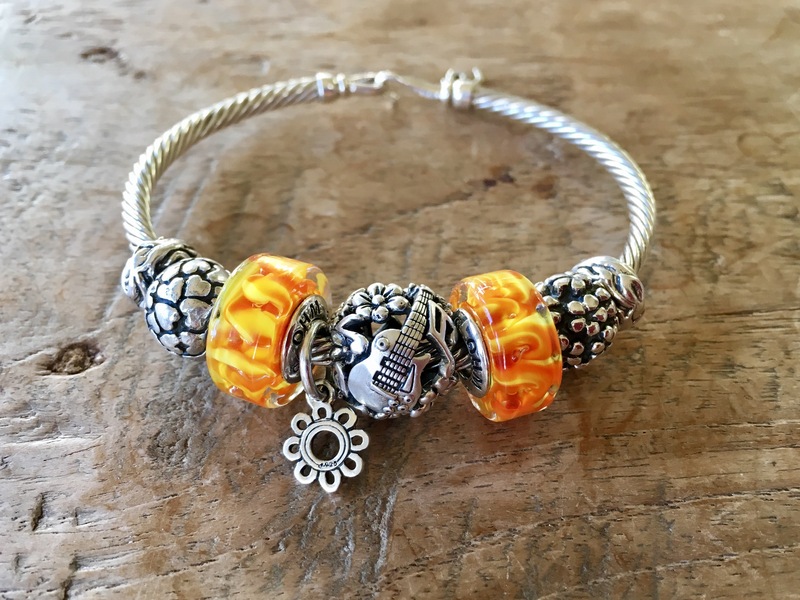 But I thought this stunning bead deserved more, a whole bracelet. 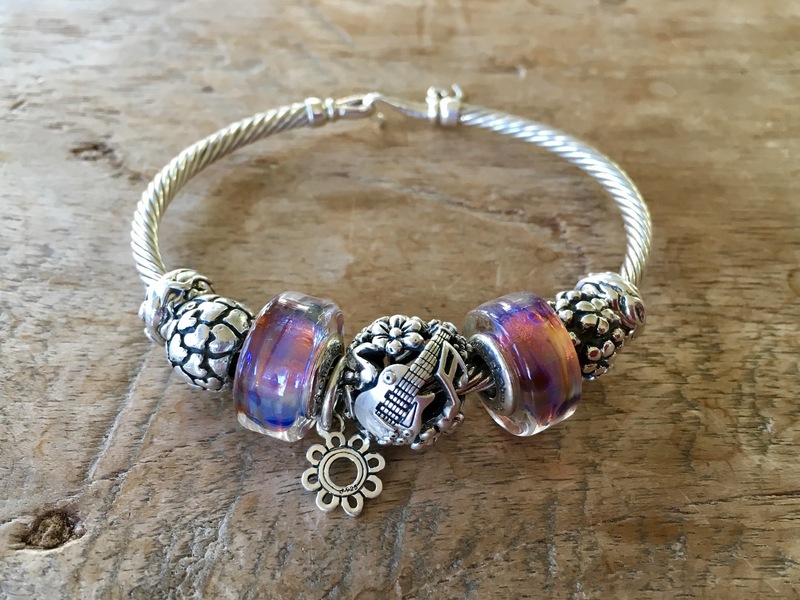 It was just last week that I finished my Trollbeads bangle by adding Giant Lotus to the Flower Diamond glass with Lotus Top. Also on this bangle is the Anemone Pendant with Anemone glass and a Pandora amythist and onyx cabochon. I decided to incorporate these beads into the Hippy bracelet. All the flowers are beautiful and make a big statement! 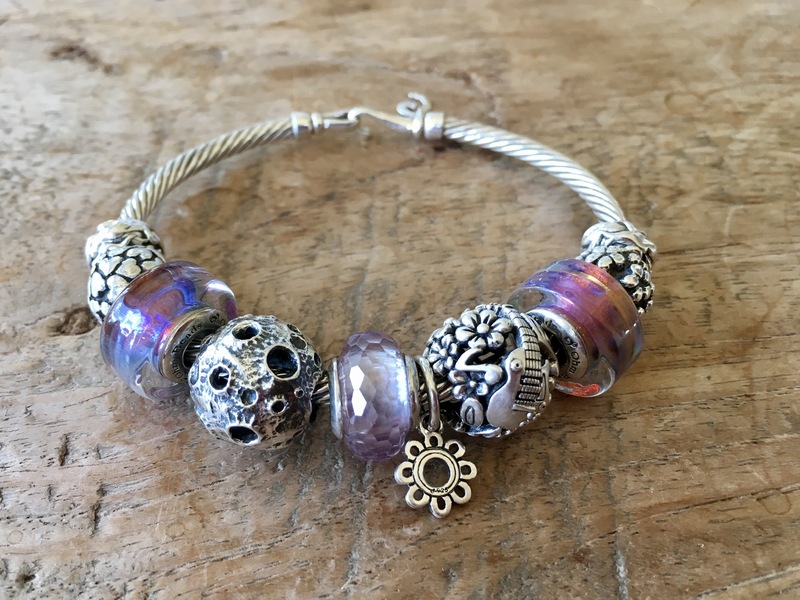 I also wanted to add Ohm beads Mama Terra, Bead of the Month April 2016. When I look at her I hear that song about going to San Francisco! And added Ohm beads Love Hurts, two Ohm beads crystals, Trollbeads Only one you, two miniature muranos and some Pandora cabochons. 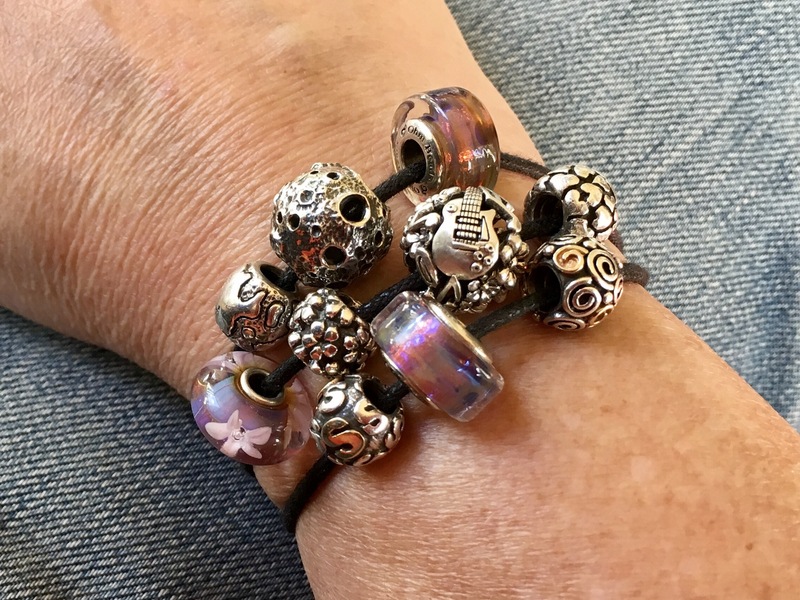 I put it on the Trollbeads clover anniversary bracelet. 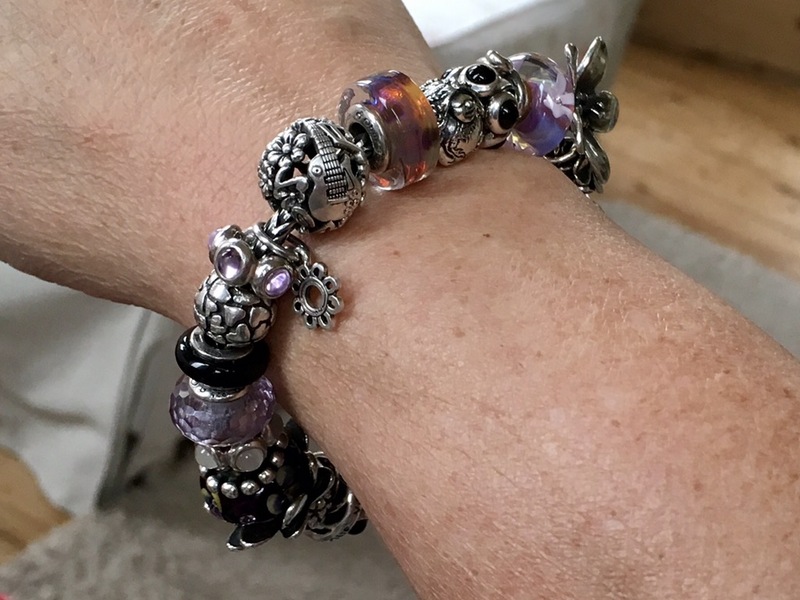 I love wearing this, the Trollbeads Anemone dangle sits on the edge of my wrist, it feels like I am wearing a corsage! And Woodstock taking centre stage! 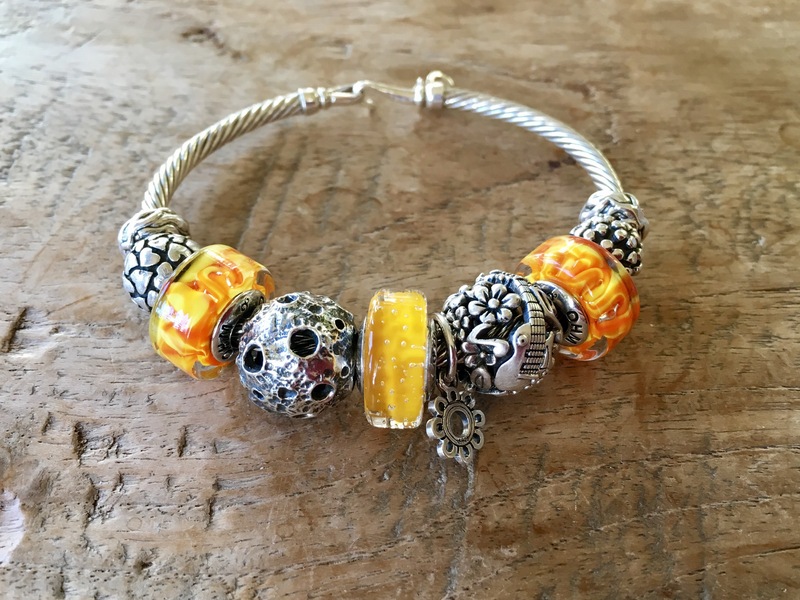 ← Ohm beads Cute bunny?